On Saturday, 1st July 2017 Oakley School was visited by 11 gentlemen (pictured below) who attended the school when it was called St Georges in the 1960s (the eldest of our visitors left the school in 1961). At that time, instead of the current modern building, the school was a big manor house and was residential. 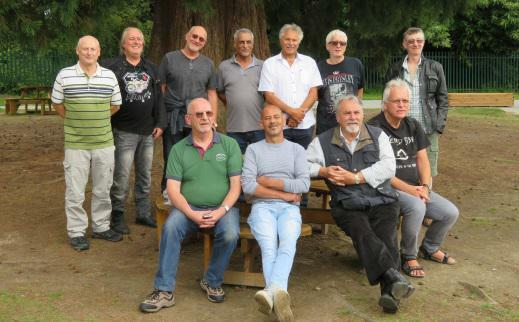 As part of their reunion (they had travelled from all over the country to get together) they walked around the site reminiscing about the old tennis courts, the croquet lawn and the various members of staff and their teaching skills (it was a very different style back then). It was great fun listening to their stories and the things they got up to! There isn't much left of the old school from the 1960s but just being back on the site and walking around the grounds was enough to generate so many memories. We hope that the Year 13 students who left us last Friday remember Oakley School as fondly.